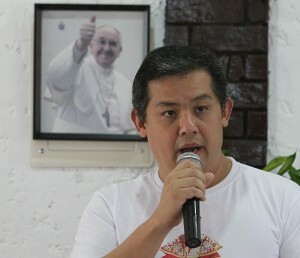 HOUSE Independent Minority bloc leader Leyte Rep. Martin Romualdez expressed confidence that the visit of Pope Francis in the country will be successful. It must be seen that Pope Francis’ plans to be with the survivors of typhoon Yolanda in Leyte are not spoiled as his Tacloban sojourn is the main reason why he opted to go to the Philippines, the lawmaker said. “I’m urging the people to keep on praying for the success of the upcoming visit of His Holiness Pope Francis,” Romualdez said. The Pope is set to arrive in the country on January 15 and will hold masses on selected areas. He will arrive at Leyte on January 17 and will conduct Mass for the victims of typhoon Yolanda at the Daniel Z. Romualdez airport. After the mass, He will proceed to Palo, Leyte to have lunch with the survivors of the strongest typhoon to hit the country killing more than 6,000 people on November 8, 2013. According to Romualdez, from the Daniel Z. Romualdez airport, the Pope will motor to the district of San Jose, the worst hit part of Tacloban City. “San Jose district, which hosts the airport, was the worst hit area because there are 26,000 people who lived there, from highest officials, the mayor to the vice mayor to the lowliest fisherman ang nakatira because it’s a very convenient and attractive place to be, but that was the ground zero because big storm surges and waves overcame the residents and that’s where we have the highest concentration of death and casualties,” Romualdez said. Meanwhile, the Civil Aviation Authority of the Philippines (CAAP) has completed the repair work at the Tacloban airport, opening its runway for all aircraft including bigger jets, in time for the five-day Papal visit. The CAAP has already lifted the Notice To Airmen (Notam), setting restrictions on commercial flights at the Daniel Z. Romualdez Airport due to the ongoing runway repairs. The airport was also severely damaged by Yolanda. “As of 4 p.m. on December 22, 2014, the 2138 x 45 meter runway of the Tacloban airport is now open to single-aisle jet aircraft like A320 or B737,” the CAAP’s statement said. Prior to the runway rehabilitation, airlines such as PAL Express, Cebu Pacific, Tiger Air, and AirAsia had been using single aisle jets at the Tacloban Airport. Reports said that the country’s flag carrier Philippine Airlines (PAL) will fly Pope Francis and his entourage from Manila to Tacloban using one of its Airbuses. The airport now operates from 5 a.m. until 9 p.m. daily, according to CAAP.